On the morning of this address one lone cadet realized that there were no provisions to record it. He quickly ran and got a tape recorder, situating it under the podium. Without his quick thinking, there would have been no record of this wonderful speech. We thank him for making it possible for us to listen to this important piece of history. American general, who commanded Allied troops in the Pacific during World War II, supervised the postwar occupation of Japan, and led United Nations forces during the Korean War. MacArthur was born in Little Rock, Arkansas, on January 26, 1880, the son of General Arthur MacArthur, a hero of the American Civil War who was later military governor of the Philippines. 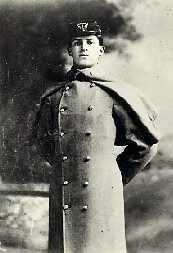 In 1903 he graduated with highest honors from the U.S. Military Academy and became an engineer officer. During the next 14 years his career included some routine assignments, but he also toured the Orient as his father's aide, served as aide to President Theodore Roosevelt, and became the army's first public relations officer. In World War I, MacArthur reached the rank of general and won numerous honors for his heroism and his leadership of the 42nd (Rainbow) Division. 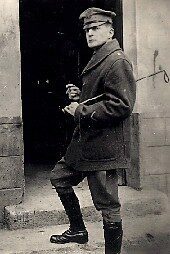 From 1919 to 1922, as superintendent of West Point, he revitalized the military academy. After other assignments, including the command of the Philippine Department, he was made army chief of staff in 1930 and held the post for five years, longer than any predecessor. During the Great Depression, he fought hard for army personnel but was pilloried for using force to drive disgruntled veterans, known as the Bonus Army, from Washington, D.C. In 1935 MacArthur stepped down as chief of staff to serve as chief military advisor to the Philippine government, a position he filled until 1941. 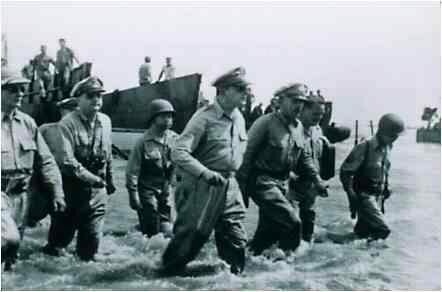 Recalled to active duty to command American troops in the Philippines in July 1941, MacArthur jettisoned a plan that called for U.S. forces to withdraw to Bataan in case of a Japanese attack and to go on the defensive until help arrived; he optimistically hoped to stop the Japanese on the beach. When war came, however, he soon reverted to the original plan. In response to orders from President Franklin D. Roosevelt, he left the Philippines for Australia before the U.S. defenders surrendered to the invading Japanese in 1942. MacArthur was embittered and frustrated by the Allied strategy that gave priority to Europe and forced him to share the Pacific command with Admiral Chester W. Nimitz. As supreme commander of the Southwest Pacific, MacArthur led a combined American and Australian force in a series of brilliant victories, gradually retaking the islands seized by Japan at the beginning of the war. The campaign culminated with the reconquest of the Philippines (October 1944-July 1945), during which he was promoted to the rank of General of the Army. He was at work on plans for the invasion of Japan when the Japanese asked for peace. 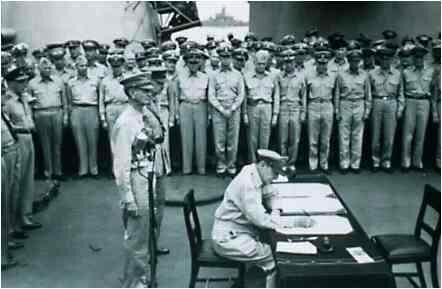 Appointed supreme commander for the Allied powers, he accepted the surrender of Japan on September 2, 1945. During the Allied occupation of Japan, he demilitarized the former enemy power and implemented a comprehensive policy of social, economic, and political reforms with the goal of liberalizing that nation. Although he won praise from some American liberals, his serious bid for the Republican presidential nomination in 1948 made little headway. Politically, his basic appeal was to ultraconservatives. When Communist North Korea invaded South Korea in June 1950, the United States entered the war with the support of the United Nations. Named the UN commander, MacArthur hastily dispatched U.S. occupation troops from Japan to Korea. By September he had sufficient reinforcements to take the offensive. After a daring amphibious landing at Inch’?n, he drove the invaders out of South Korea and pursued them to the Chinese border. In effect, he had won that war by late October, when Communist China initiated a new conflict by sending troops into Korea. MacArthur wanted to expand the limited war into a general war against China. In a letter publicized by a Republican congressman, he criticized the policy of his civilian and military superiors and advocated a change. For this reason President Harry S. Truman relieved him of his command in April 1951. MacArthur returned home to a tumultuous welcome. Although he delivered the keynote address at the next Republican presidential convention, his popularity was not enough to gain him the nomination. In retirement he served as chairman of the board of the Remington Rand Corporation. He died on April 5, 1964, in Washington, D.C. A man who inspired extreme emotions among admirers and critics alike, MacArthur was a brilliant soldier who played a crucial role in American military affairs for more than three decades. a vigor of the emotions; it is the freshness of the deep springs of life. self-distrust bows the heart and turns the spirit back to dust. of what's next, and the joy of the game of living.